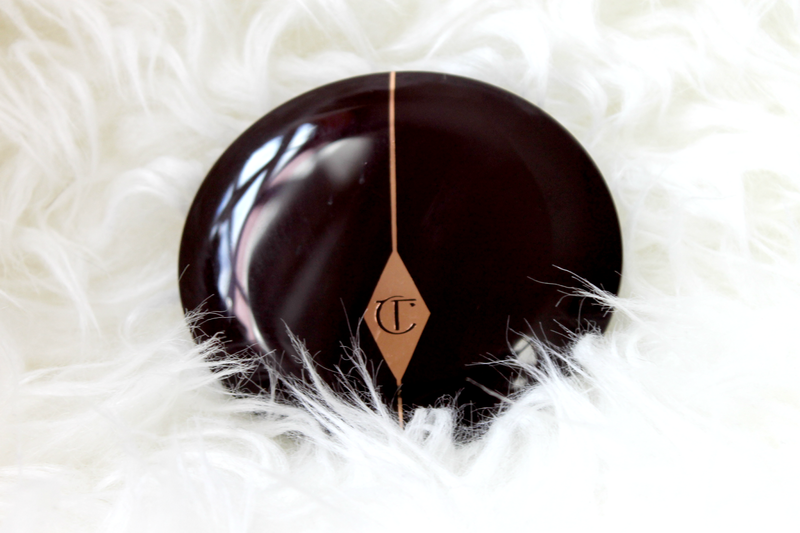 Oh Charlotte Tilbury, you really do know how to make a girl Happy! For me, Charlotte Tilbury is one of those high end makeup brands that just oozes luxury and I always have at least one item from the collection on my birthday/christmas/wish list. It's the kind of brand that I know I will never own the entire collection of but that I get so excited over whenever another item is on it's way to me. The packaging is every girls dream, encased in a gorgeous sleek brown compact with rose gold detailing, the packaging really does look picture perfect and it screams glamour, with this blusher in particular also having quite a vintage, classic feel to it. Blusher's are fast becoming my favourite makeup item, with my collection growing at every opportunity, my birthday list already has five blushers on and I always seem to find more. The thing is, I look like a ghost without it on, plain and simple! Most people use bronzer to add depth to their skin tone, but whether it's down to my application, choosing the wrong colours or because bronzer just isn't my thing, even with a supposed bronzed glow, I still look deathly pale; So blusher is my way forward! The Charlotte Tilbury Cheek to Chic Swish & Pop Blusher is designed using light flex technology that catches the light and then radiates it back out for a luminous complexion to 'recreate that shimmering, youthful flush of excitement you get when your in love' which Charlotte Tilbury and her clients refer to as the 'love glow.' The unique Swish & Pop technique allows for a quick and easy application by simply swishing the outside colour along your cheekbones and adding a pop of the middle colour to the apples of your cheeks giving both structure and colour in one. Love glow is a gorgeous rose pink toned blush, with the outer shade having warm pink tones and the centre shade having more cool pink tones, I usually blend these together for a gorgeous natural looking pink flush. 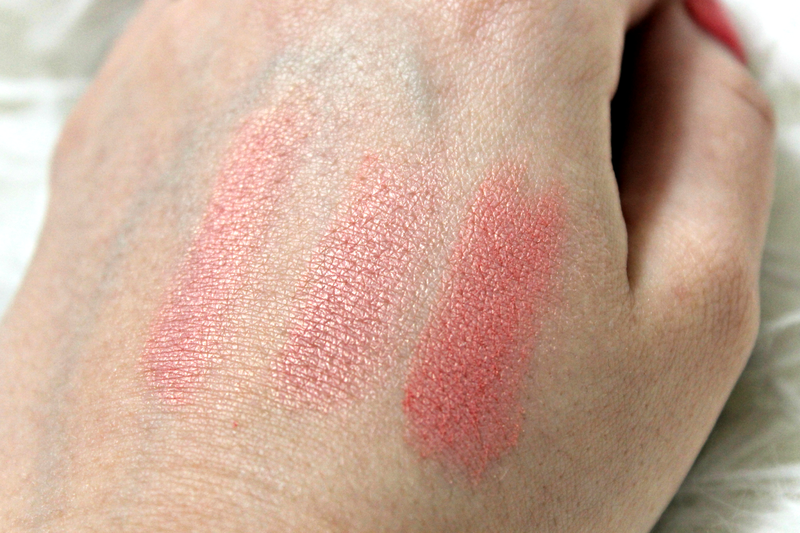 I really do love how the silky smooth texture of this blusher blends so effortlessly into the skin, however I do find that although the pigmentation is fantastic when swatching this product, I do have to build it up to play up to my skin tone, so I am intrigued to try a few more and see how they compare, Ecstasy is next on my list! 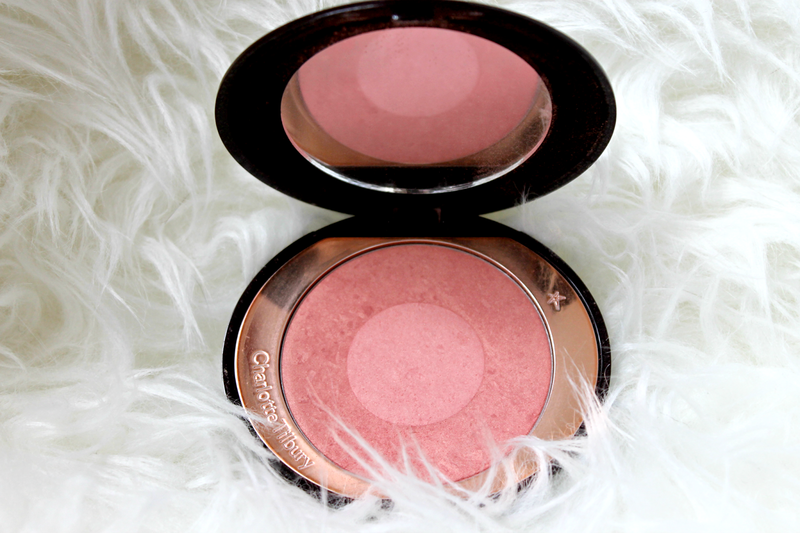 Overall this has to be one of my favourite blushers in my collection, it ticks all the right boxes and I would recommend you add this to your wishlist if you haven't tried one already! Have you tried anything from the Charlotte Tilbury collection yet?